A new bill has been introduced that would prolong the current electric vehicle federal income tax credit now primarily used by buyers of luxury and performance vehicles priced over $50,000. 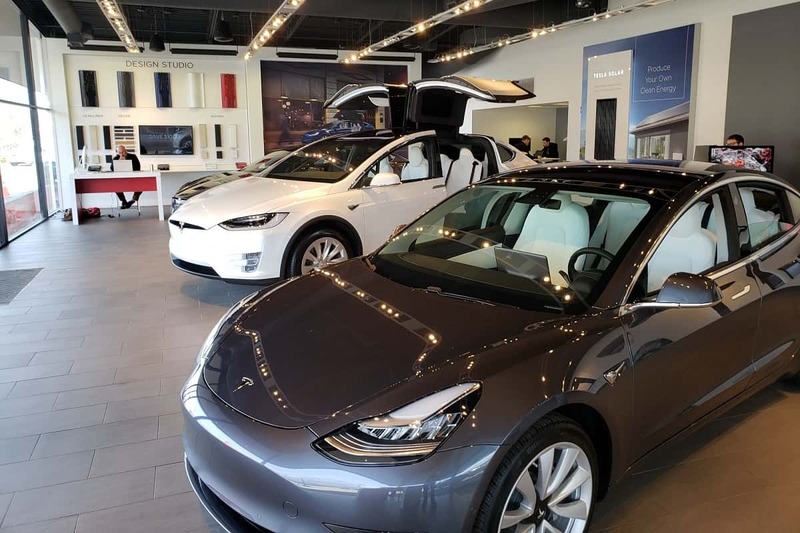 Dubbed the "Driving America Forward Act," this special interest tax break for electric vehicle buyers primarily serves those shoppers interested in high-priced high-performance luxury vehicles. The tax break is currently a federal income tax benefit to those who earn enough money to have a tax liability large enough to qualify. Low-income car buyers who don't earn enough to qualify receive no benefit. Last year, 228,408 of the 361,307 vehicles sold in America that came with the special-interest tax break were luxury performance models priced between $45,000 and $130,000. Only about 37% of the vehicles sold were "affordable" vehicles priced under $45K. The bill is being supported by many automakers. One manufacturer particular who has lobbied Congress for this special tax-carve out is Tesla. It is no surprise that Tesla supports the bill. In 2018, more than half of the vehicles sold to which this tax benefit applied were Tesla models (52%). GM also supports the bill. GM does make affordable EVs. However, it recently dropped its top-selling U.S. electric vehicle, the Chevy Volt and introduced two new models in China. A market GM's Mary Barra described as, "...the world’s largest EV market and (one chich) will be a large driver of global EV adoption." Unlike some state-sponsored EV price supports, this one has no income qualifications. Billionaires can claim it. They simply need to purchase a qualifying electric vehicle. Originally, the plan was that the tax credit would phase out after each manufacturer sold their first couple hundred thousand EVs. The price supports would help automakers who had up-front technology costs be more competitive with conventional cars. It worked great. Tesla's Model 3 had over 400,000 pre-orders. EVs are hot right now and in short supply in some states. Why a hot commodity needs a price support may be worth asking. Unlike other publications who have reported on the bill without providing a link to its actual text, Torque News has held off. We phoned the offices of two of the bill's sponsors. First, we phoned the office of Michigan Senator Debbie Stabenow. Her office did not have a copy or link to the text of the bill that she co-wrote. Finding this crazy, we then phoned the office of Senator Gary Peters, another co-sponsor. We spoke to Benjamin Timpf in the Senator's office, who is presently trying to locate the text of the bill that the senator co-sponsored. Once we have the text of the bill, which apparently the Senators who wrote it do not have, we will update this story or do another with the details of how the new bill would change the current EV tax break law. Which was written by Republicans and signed by President Trump. If this does reinstate the full tax credits for the automakers who did the most to support early adoption of EVs (Tesla and GM) than that is great! I think that it was a poor move to remove the incentive from the automakers who took the biggest risk in early engineering and development of EVs in favor of those automakers who did not produce any until Tesla and GM showed that there was a real demand for affordable EVs (including PHEVs). I leased two Volts because the federal programs made the lease prices comparable to gasoline economy cars. Your certainly do not need to be rich to lease an EV once the price is reduced. The leasing companies get the tax benefit and pass the savings onto customers, who do not have to qualify for the tax benefits themselves. EVs (including PHEVs) are still only about 2% of new vehicle sales in the U.S., so any support to increase their numbers is welcome.